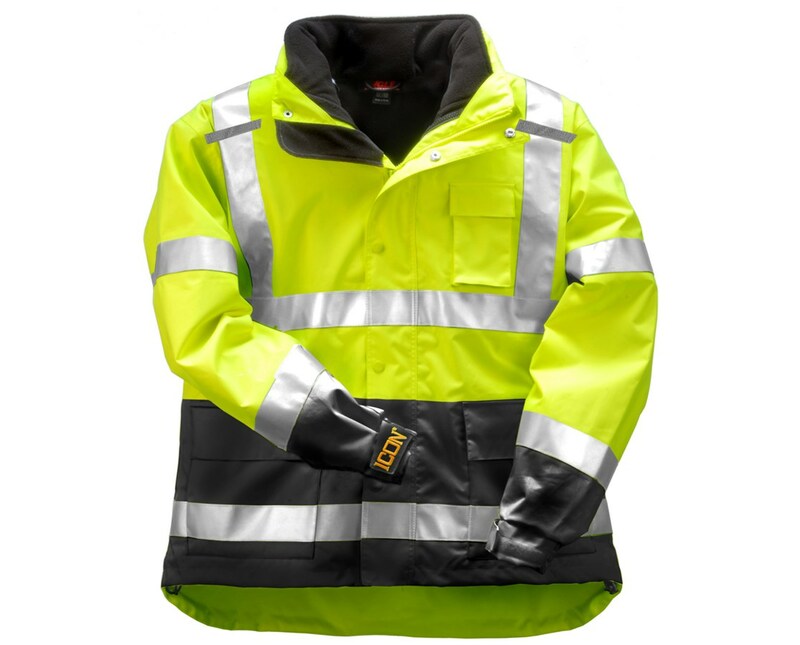 This is a hi-visibility ANSI compliant jacket that is designed for your safety (Class 3). The body of the vest has a tapered sweep and an adjustable elastic draw-cord. This allows you to adjust it to your personal preference, while keeping bulkiness at a minimum to avoid getting caught or snags. Featuring a tow-way zipper, this jacket also sports a storm fly front with a throat guard to help keep the rain and wind out. It also has a hide-away hood in the collar for easy accessibility. The cuffs have an elastic cuff for a snugger fit and hook & loop straps to adjust to your arm length. The overhead shoulder design allows maximum arm mobility. Each seam is stitched and taped to make it waterproof and wind resistant. 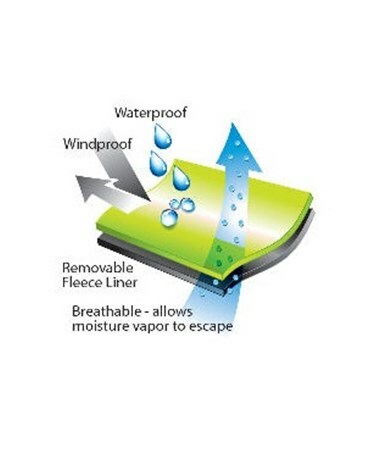 The jacket has a full vented cape in the back for better circulation. And it allows for D-ring access for a fall protection harness. 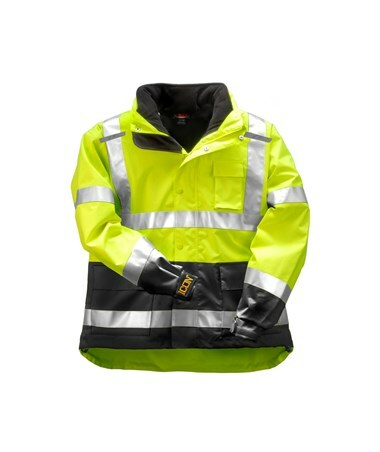 For high visibility safety, the background of the jacket is a sharp fluorescent color for daytime conspicuity. It also has 2” reflective tape around it for 360° night visibility. And, the lower part of the body and sleeves are all black to help hide dirt that is bound to stick on a jobsite. This safety jacket comes with a total of 6 pockets and 2 easy-access mic tabs. There are two patch pockets with flaps in the front lower of the jacket. Additionally, there is a hand warmer pocket behind each cargo pocket. This makes it easy to reach but helps keep you organized with the separation between the pockets. It also has an inner hidden zippered pocket on the left side. The last pocket is a convenient radio pocket on the front upper of the jacket, that also sports a badge holder on its outside. And finally, each mic tab sits just below each shoulder on the front of the jacket for easy reach. 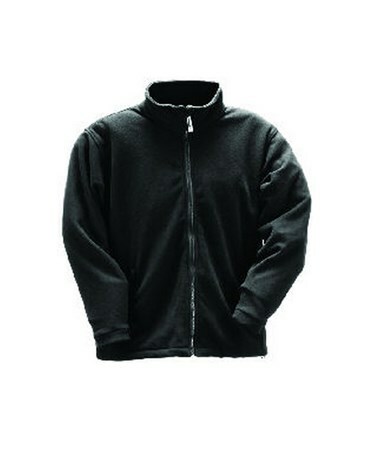 This jacket is made from 300D polyester covered in polyurethane. It has a mesh/taffeta lining for better air circulation and added comfort. The jacket comes in a fluorescent yellow/green color. The reflective 2” strips are silver. This jacket is available in sizes Small-5XL.